It is that time of year again. I have sown sunflowers. Sunflowers are really simple to sow and grow, and offer bright splashes of colour when the growing season is in full spring. 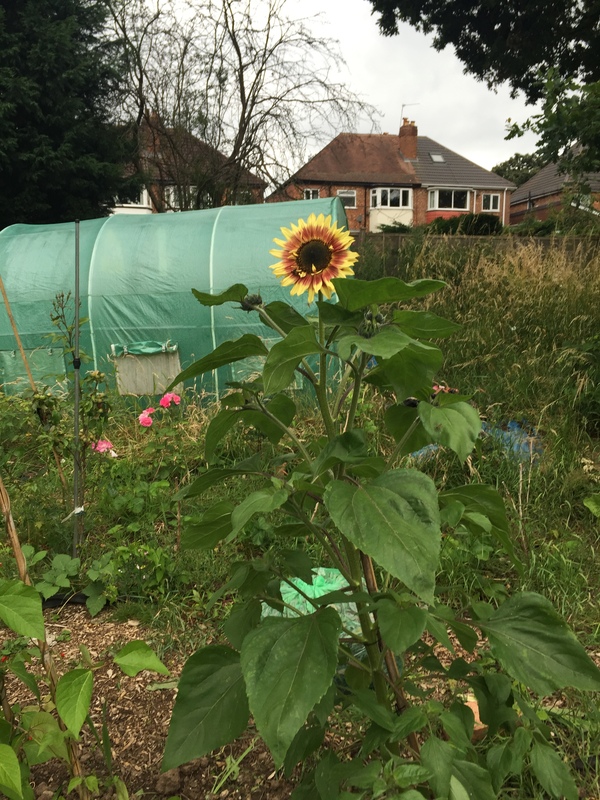 For the last few years I have been supporting the The Big Sunflower Project and also trying to get fellow educators involved in sowing sunflowers as stress busting activity. As an exercise in mindfulness, sowing seeds, watching them grown, is something really important for me. 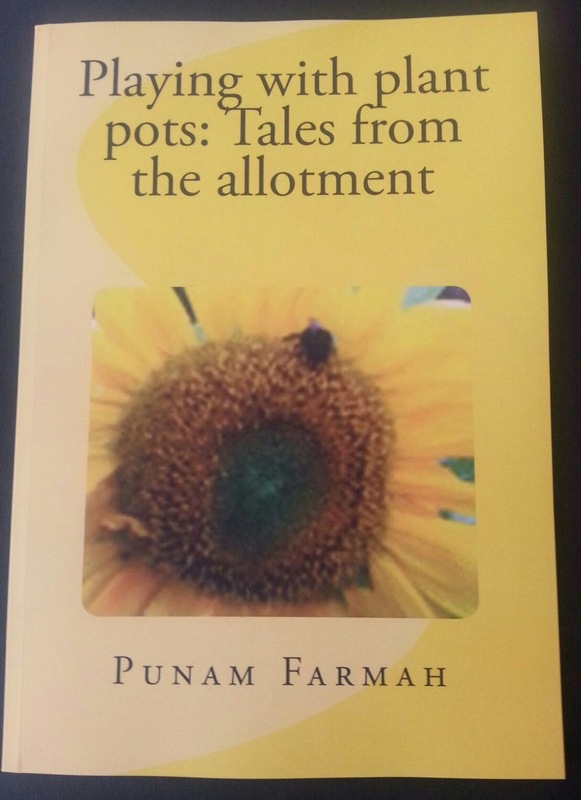 I have experienced the positive and psychological effects of pottering around the plot, so spreading the word is something that I will always do. Sowing sunflowers is just the thing! This year I am sowing seeds that were saved from one of last years sunflowers. I remember to this day, mum decapitating it and waving it at me so that it could dried. Sunflowers will grow quickly if they have optimum growing conditions. It is a little cold right now, the sun does seem to have disappeared for a bit. This may slow down seed germination, but I am as hopeful as ever. Sunflowers are also really good for wildlife when they have come to the end of their life; birds will eat the seeds and small insects will live in the stems that I tend to leave until Spring. 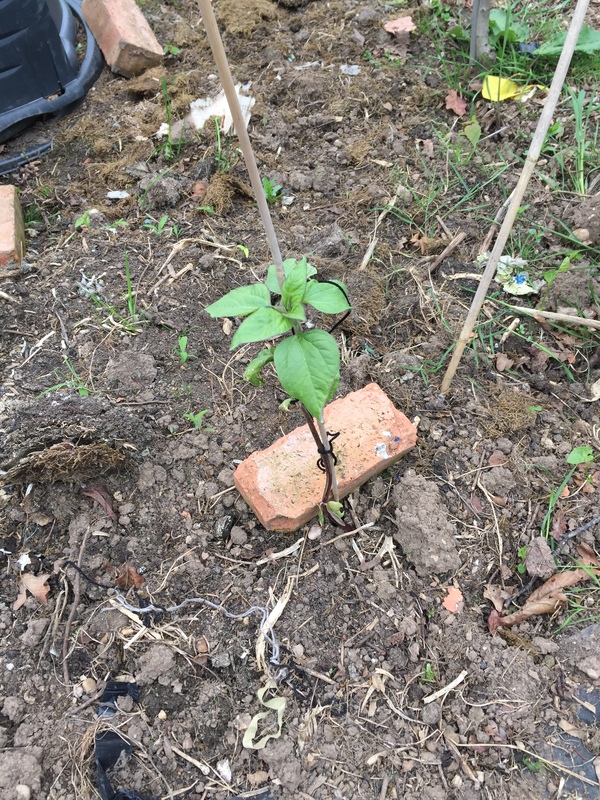 You can find out here about last year’s post about sowing Psychology Sunflowers. As a year of two halves, 2015 has been somewhat interesting but different. The first half of the year involved having the best of intentions. Seeds were sown, I had half a plan as to what I wanted to achieve. No different to what I might have done in previous years, I was going to use all my knowledge and experience to make things better, bigger and more efficient. Then came July, 2015 became incredibly busy and in the tail end; I am only just recovering from a very hectic six months. Let’s take the first six months, where by the growing season is starting. Plans are afoot, the world is full of promise. We are hoping to have a good year. Tomatoes, chillies and aubergine were the focus of the first three months. Makings sure that the seeds were sown, that these germinated and the plants pampered. Pampered, as so many valuable lessons had been learned as to how they might be successful. It was touch and go for a while in the early stages. Half baked chillies and tomatoes can be a very scaring and intimidating experience, when you let them be in a hot room or poly tunnel. There were even aphids and bugs that needed to be dealt with. In July, I hosted a workshop during the annual conference of the Association of teachers of Psychology. I spoke about horticulture and mental health, the benefits that teachers might gain for both themselves and their students. I had asked my Psychology colleagues to sow sunflowers in the Spring and also encouraged conference delegates to do the same in giving them seeds that were kindly donated by the information point. It was also at this point, that I finished the Level 3 Certificate in Counselling studies. Then came the summer, with lots and lots of growing! No one year will be the same as the preceding or following. Yet this year felt different. There was just something palpably different that made growing more of a challenge ad something beyond me being busy with work and studies. Last year, I remember being ankle deep in tomatoes, green ones; but there were lots of them. This year,I had a foliage, and not a lot of fruits. Positioned in the poly tunnel, the crop was meant to do well. Even the chillies appeared to have struggled this year. Whilst the poly tunnel seemed to have been filled with triffids, there was a muted level of success. Aubergines did themselves no favours once again. I must say every year that I will not sow them. I finally have proof that I might be better off without them. Lovely plants, the occasional flower; but diddly squat fruit even if the poly tunnel was a bit damp and sweaty. And note the gadget! The apple one. Having acquired all of those apples from a plot neighbour (they were not scrumped, I had consent!) that was an investment and a half. Saved me hours. The home brew kit is still waiting in the wings. untested this year, maybe it will be used in the growing seasons to come. There were a number of pickles and preserves. The preserving pan was rather busy this year, even though the produce was a bit hit and miss. With the plot ticking along, and the blog growing. Something else also happened. I had been lucky enough to write guest blog posts for WRG, via the fabulous Michael Perry. This was and still is one of the most valuable writing experiences that I have ever had. This actually triggered something more complex and more challenging than I first realised. Over the summer, the winner of the Big Allotment Challenge Rob Smith had written a short book. 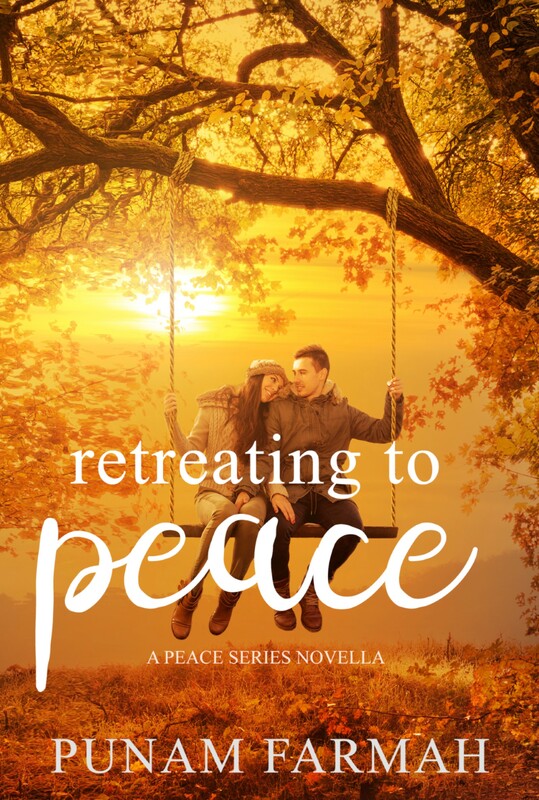 One of my fellow counselling students, L.A.Cotton, had also burst onto the young adult contemporary genre (She’s epic, tell her I sent you) with phenomenal success. These three things combined spurred me to be courageous and write something myself. June and July were turning points, and I remembered sending a message to both my sisters; saying that I wanted to write an ebook, and I would try and get it out by Christmas. That was it, I was going to do it. Having written as mentioned previously, the guest blogs for WRG , one of them was about the Indian Inspiration on the plot. I think Michael Perry used the words ‘Bollywood Gardener’ or something similar, and I adopted the hashtag! This inadvertently became the start of the book. I wrote in a way I can only describe as feverish. I have the same frame of mind when writing the blogs, to be honest; and it’s part of the blog life. The book however was different in that this was thousands of words and trying to bring the assorted elements of the blog together. There was a lot of things that I wanted to include in my budget of 25, 000 words. I had a notebook-my blog book actually, the one that I take to the plot-and a pen. Scribbling ensued, and it’s hard to read my writing anyway. So when it’s all in very hurried, that doesn’t help with typing. What I ended up with was ‘Playing with Plant Pots: Tales from the allotment’. Plus it was well before Christmas! With a bright yellow front cover, you cannot miss it! I am going to be naturally very biased, and say that I like my book. However, that is genuine. I like to share it, because I do honestly believe in my book. You might, for example, have writers out there, who will promote their books; but not necessarily believe in their own work. You know if you don’t blow your own trumpet, it’s difficult to get others to do the same. Standing in the kitchen, leafing through my own book was rather surreal. My name was on a book, that I had crafted. Then there was the few hours that it was at number one. A fellow independent writer informed me of that happening, and that made my day, I tell you! I am determined to get back to the slot. Then there was the swag. The merchandise. Again, this sounds likes trumpeting! 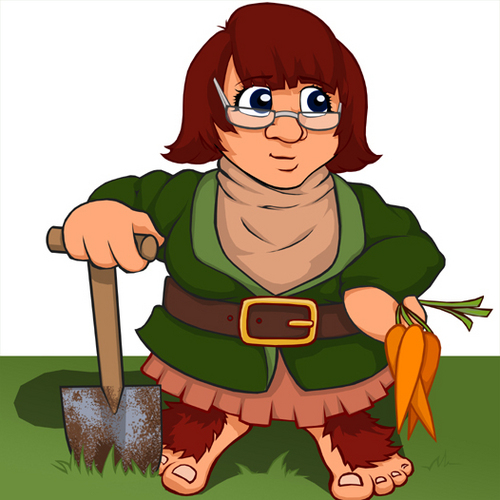 Petal, the horticultural Obbit, has always been the online avatar of the blog. A registered trademark, she’s face (other than mine!) of the blog and social media presence. As you will have read, this year may have been different to others; but it has not been quiet. So much has gone one, it’s no wonder that the tail end of the year is slower and more reflective. If it had all been plain sailing, there would have been very little learned, very little documented in the blog, and very little left to reflect upon. For now, my only plan is try and sow chillies at some point, and plant my fruit trees when they arrive. I haven’t really thought about anyhing beyond that. I thank you, for having accompanied me on the 2015 journey; and look forward to the one starting in the new year. The plot is starting to kick off now. As you may have seen from another blog post, the poly is well and truly alive. The tomatoes are five foot tall triffids. Yes, these are the things that only week ago were only eighteen inches high. They are now starting to send out yellow flowers, and some of them have started to set. What you see at the marmande and cream sausage varieties. Not in the pictures, but in the poly tunnel we also have the tiniest of money maker tomatoes. Beyond that, the scarlet emperor runner beans have started to display lovely red flowers. The blue lake and cobra french climbing beans are somewhat behind, and only just starting to climb and live up to their name. There about eight or so Psychology Sunflowers in situ at the plot. Most of them, are doing okay. A few of them, have however, been nibbled on by slimers. The sunflowers that were sown, have rapidly taken on a life of their own. Growing gangly, and hardened off, they have been planted out today. I have taken a risk, what with a potential for there to be a frost tonight. This may result in them ceasing to exist, a few of them were sulking as they were planted. I do still have a few that I have kept back, these weren’t as big yet in being recent sowings. They have been strategically planted across the plot, mainly where they might be to signal in bumble bees required for pollination. We have a combination of giant sunflowers and sunburst. So even if the bumbles can fly seven feet in the air, they will fly straight into a sunflower. Have spent the best part of today, pottering around, potting up chillies. Some of them even have flowers. Sunflowers were also potted up as some of them were starting to keel over. As were the last of the tomatoes. I did take a wander down to the plot, Ma wanted to dig for England again so I had to keep her company whilst nursing a thermo mug of tea. Was really quite bright, and I thought I looked a bit cool with the sunglasses. I had just planned to supervise ma, but then I got a call from a plot neighbour who was actually working hard. A lovely plot neighbour had an excess of strawberries, and I had already re-homed some their donations. I’ve taken in another half a dozen or so additional plants. Quite healthy looking too. These were then plugged in around autumnal raspberry canes. I have hoping that these will grow, send out runners and cover the ground. Also means I get two types of soft foot from one bed.